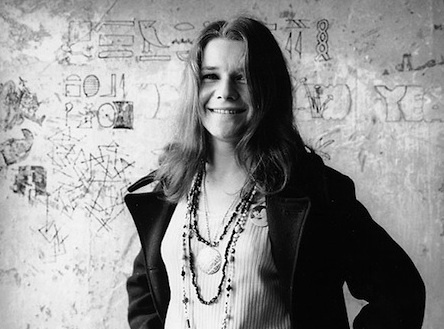 1966, Janis Joplin Moves to a house in Lagunitas in the San Geronimo Valley, Marin County, California with members of Big Brother, their wives and girlfriends. 1967, Pink Floyd appeared at The Swan, Yardley, Birmingham, England. 1967, The Beatles started a 15-week run at number one on the album chart with Sgt Pepper’s Lonely Hearts Club Band, the group’s 10th chart topping album. It was recorded between early December 1966 and mid-April 1967. 1968, James Brown played at the Rhode Island Auditorium in Providence, Rhode Island. 1968, The Band released their debut album Music From Big Pink. The album, which features their first hit single “The Weight,” was recorded in studios in New York and Los Angeles in 1968. The group, originally known as The Hawks, became Bob Dylan’s backing band on his 1966 tour. 1969, The Allman Brothers Band appear at the Civic Auditorium and Coliseum in Knoxville, Tennessee. 1969, John Lennon, Yoko Ono, and family were involved in a car accident in Golspie, Scotland. Both John and Yoko needed hospital treatment. Lennon later had the car crushed into a cube and exhibited it on his lawn at Tittenhurst Park. 1970, Jimi Hendrix records for the first time in his New York studio Electric Ladyland. 1970, Casey Kasem’s syndicated American Top 40 radio show debuts in several markets around the U.S.
1971, Yes performed at San Antonio Municipal Auditorium, San Antonio, Texas. 1971, The Who’s “unpublicized” tour of the UK resumes at the Assembly Rooms in Worthing, England. 1972, Neil Diamond went to number one on the US singles chart with “Song Sung Blue,” his second chart topper. It went to number 14 in the UK. 1973, Slade and The Sensational Alex Harvey Band appeared at Earl’s Court London, tickets cost £1.00-£2.00 ($1.50 – $3.00.) Special trains ran form Brighton, Bristol, Birmingham and Manchester to take fans to the show. 1973, Bob Dylan releases his soundtrack to Pat Garrett and Billy the Kid. 1973, The Grateful Dead played at the Universal Amphitheatre in Los Angeles, California. 1973, Jethro Tull performed at Memorial Auditorium, Buffalo, New York. 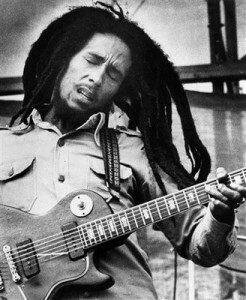 1974, Bob Marley & the Wailers release Burnin’. 1975, Ringo Starr divorces his wife, Maureen Cox. 1975, 10cc were at number one on the singles chart with “I’m Not In Love.” The instrumental break featured the repeated spoken phrase: “Be quiet, big boys don’t cry…”, which was uttered by Kathy Warren, the receptionist at Strawberry Studios, Stockport, Cheshire where the band recorded the track. 1976, Elton John played at the Capital Centre, Landover, Maryland. 1977, ZZ Top appeared at the Neal S. Blaisdell Center, Honolulu, Hawaii. 1977, During a North American tour, Pink Floyd played the first of four sold out nights at Madison Square Garden in New York City. 1978, The Rolling Stones performed at Cleveland Stadium, Cleveland, Ohio. 1979, Van Halen appeared at the Seattle Center Coliseum, Seattle, Washington. 1980, Roxy Music performed at Rhine Neckar Halle, Heidelburg, Germany. 1981, Rushton Moreve, bassist with Steppenwolf, was killed in motorcycle accident in Santa Barbara, California, aged 32. He co-wrote their hit “Magic Carpet Ride” with lead singer John Kay. Moreve left the band in late 1968. 1983, A New Jersey based quintet calling themselves Bon Jovi were signed to Phonogram’s Mercury records. 1989, Lou Reed, Joe Jackson, Elvis Costello, The Robert Cray Band, Nick Cave and the Bad Seeds, Tanita Tikaram, Pixies, R.E.M., and Texas all appeared at the Rock Torhout Festival, Torhout, Belgium. 1995, DJ Wolfman Jack died of a heart attack. He was the master of ceremonies for the rock ‘n’ roll generation of the ’60s on radio, and later on television during the ’70s. He had a cameo in the film American Graffiti. 1995, R.E.M. The Cure, Therapy, Offspring, PJ Harvey, dEUS, Senser, Bodycount, Channel Zero, Jeff Buckley, Spearhead, Belly, Morphine and The Cranberries all appeared at the Rock Torhout Festival, Torhout, Belgium. 2005, Four Tops singer Renaldo “Obie” Benson died aged 69 in a Detroit hospital from lung cancer. He was diagnosed after having a leg amputated due to circulation problems. The Four Tops sold over 50 million records and had hits including “Reach Out (I’ll be There)” and “I Can’t Help Myself.” Benson also co-wrote “What’s Going On” which became a number two hit for Marvin Gaye. 2005, R&B and soul singer-songwriter, as well as record producer Luther Vandross died at the age of 54 at the JFK Medical Centre in New Jersey, two years after suffering a major stroke. His “Never Too Much,” was a number one R&B hit, worked with Diana Ross, Carly Simon, Chaka Khan, Donna Summer, Barbra Streisand, Mariah Carey and David Bowie. Vandross had won four Grammys for his final album Dance With My Father. 2006, Roger Waters, Texas, Starsailor, The Who, Razorlight and Primal Scream all appeared at the two day Hyde Park Calling festival in London. 2009, A week after Michael Jackson’s death, The King Of Pop ruled the Top Ten of Billboard’s album chart. Atop the charts was Number Ones, followed by The Essential Michael Jackson in second. Thriller was third, and and Off The Wall was fourth. The Jackson 5’s Ultimate Collection held the fifth spot, Bad was number six, Dangerous was seventh, Greatest Hits – HIStory – Vol. 1 came in at eight and Michael’s Ultimate Collection occupied the ninth position. Collectively, Jackson’s solo albums sold 415,000 copies for the week, 58% of which were digital downloads. The week before his tragic death, his titles sold a combined 10,000 units.